Very few of my barefoot comics are from Barney Google and Snuffy Smith. 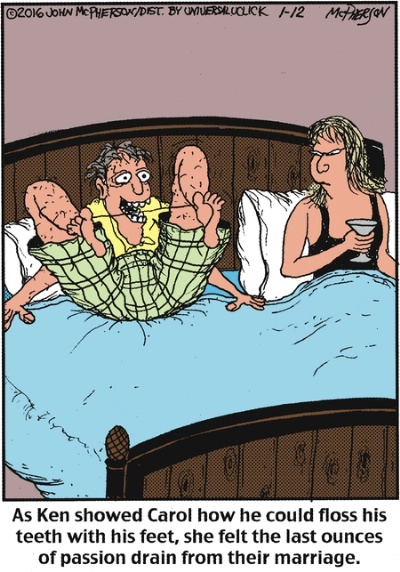 The strip is supposed to be depicting hillbillies, yet the characters almost never go barefoot. Go figure. But occasionally . . .
Here’s the strip from just last week, on January 20. Isn’t that the way to stay young? 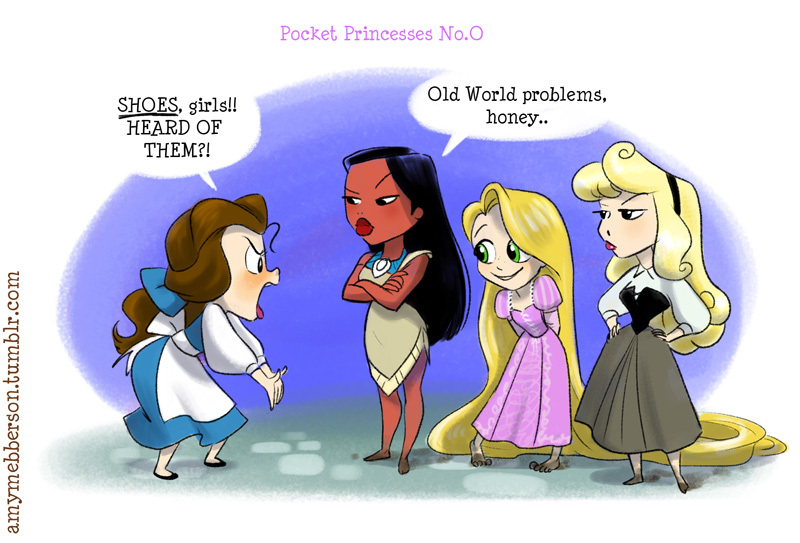 Most barefooters are aware of the basic contradiction with Disney. They are vigilantly anti-barefoot when it comes to their parks. Yet, so many of their animated girls go . . . barefoot. Here’s a great cartoon I came across that plays with that. Make sure that you click on it to see the full-size, more-detailed version. This cartoon was drawn by Amy Mebberson, who is a really talented artist. Go take a look at her page. Also go check out more of her work on her tumblr page. Earlier this week I wrote about the Utility of Toes. Well, that same day this Close to Home comic strip showed that that can be taken a bit too far. I’m going to start out the new year with what is probably my oldest barefoot cartoon. It’s not a funny-ha-ha cartoon, or even specifically focused on going barefoot. 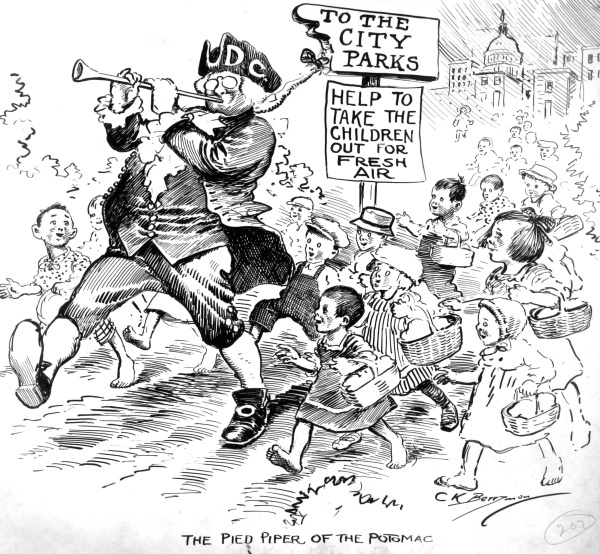 It’s from a campaign from June of 1920 to get kids in the District of Columbia outdoors more to get fresh air and to use the City Parks. The cartoonist is Clifford Berryman, who was mainly a political cartoonist. His “Pied Piper” is one of his regular characters, Mr. DC. What I like is the presumption that of course kids will go barefoot to have a picnic in a park (and that they will walk barefoot along the streets to get there).